Three legends in one show! 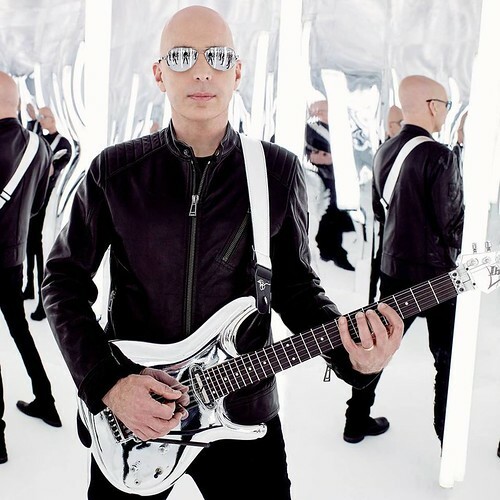 On Joe Satriani’s latest iteration of the G3 Tour (founded in 1995), he is joined by John Petrucci (of Dream Theater) and Phil Collen (of Def Leppard). Joe regularly brings together three guitarists for the G3 Tour and they travel around rocking and jamming. The 2018 version marks John’s seventh time participating, while it’s Phil’s first time. Aside from these brilliant guitarists coming together to play for us, Joe releases his 16th album, What Happens Next, on January 12th. The lead single “Energy” is fairly self-explanatory, but it hits back at the roots of rock and roll and moves away from the sci-fi themed blasts of music found in previous songs, especially in the last album, Shockwave Supernova. At any rate, I look forward to hearing the whole album soon. Don’t miss the chance to witness this epic guitar show! Tickets are $75 and up. Doors open at the Warner Theatre at 6:30pm. Show at 7:30pm. Performing with John Petrucci and Phil Collen.